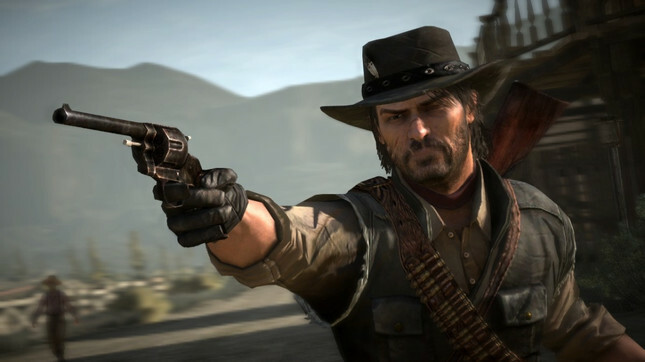 Six more Xbox 360 games have been enhanced for Xbox One X.
Rockstar Games’ open-world Western Red Dead Redemption Epic Games’ third-person shooter Gears of War 2, Sega’s Sonic Generations, Vigil Games’ Darksiders, Valve’s Portal 2 and LucasArts’ Star Wars: The Force Unleashed will all get updated for Microsoft’s flagship console today. Microsoft hasn’t detailed exactly what will be different in each of the backwards compatible titles, but if previous enhancements are anything to go by, the games will get massively improved pixel counts (from 720P to 4K) and enhanced colour depth. The addition of those six games brings the number of Xbox One X-enhanced Xbox 360 games to 17. The Witcher 2: Assassins of Kings, Forza Horizon, Fable Anniversary and Crackdown were enhanced in February; while Assassin’s Creed, Fallout 3, Gears of War 3, Halo 3, Mirror’s Edge, Oblivion, and Skate 3 got a spruce-up last year.